Often when acting as the prime on a construction project, the design professional is asked to review, comment or even craft insurance and bonding specifications for the project. 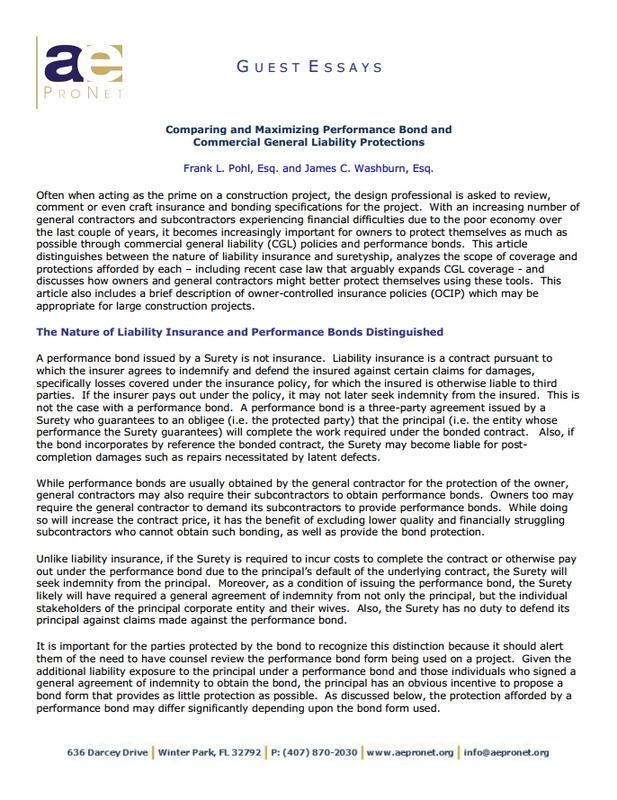 With an increasing number of general contractors and subcontractors experiencing financial difficulties due to the poor economy over the last couple of years, it becomes increasingly important for owners to protect themselves as much as possible through commercial general liability (CGL) policies and performance bonds. This article distinguishes between the nature of liability insurance and suretyship, analyzes the scope of coverage and protections afforded by each – including recent case law that arguably expands CGL coverage – and discusses how owners and general contractors might better protect themselves using these tools. The design work has been completed (just in time), the contractor has been selected, and everyone is anxious for work to commence. Optimism abounds that the project will be performed on time, within budget and in accordance with the plans and specifications. 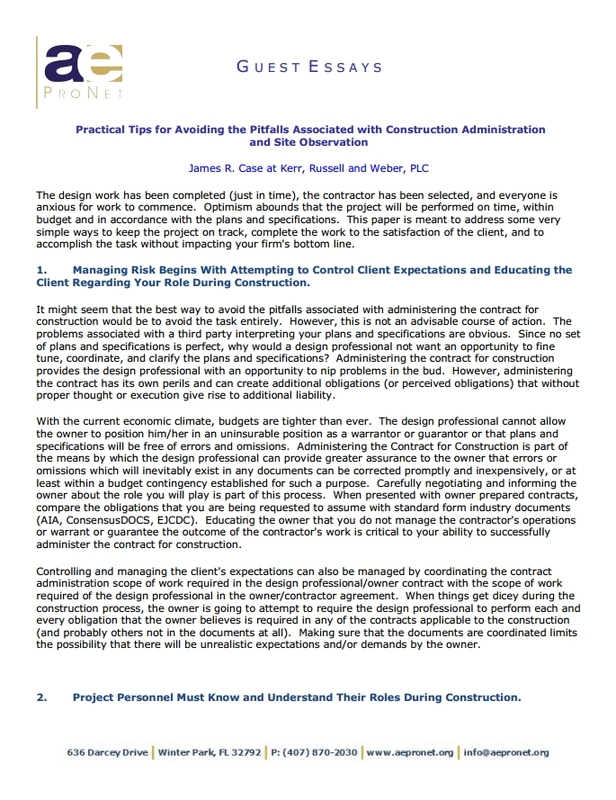 This paper is meant to address some very simple ways to keep the project on track, complete the work to the satisfaction of the client, and to accomplish the task without impacting your firm’s bottom line. 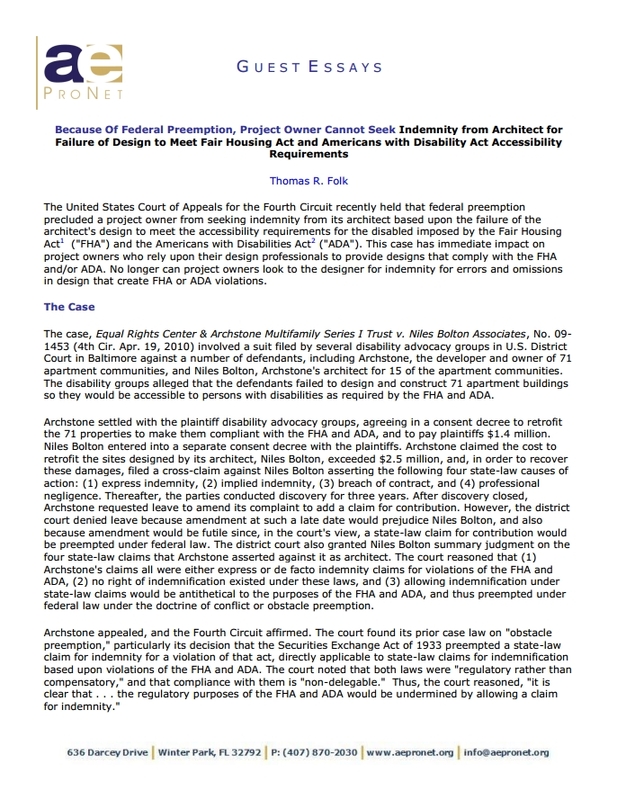 The United States Court of Appeals for the Fourth Circuit recently held that federal preemption precluded a project owner from seeking indemnity from its architect based upon the failure of the architect’s design to meet the accessibility requirements for the disabled imposed by the Fair Housing Act (“FHA”) and the Americans with Disabilities Act (“ADA”). 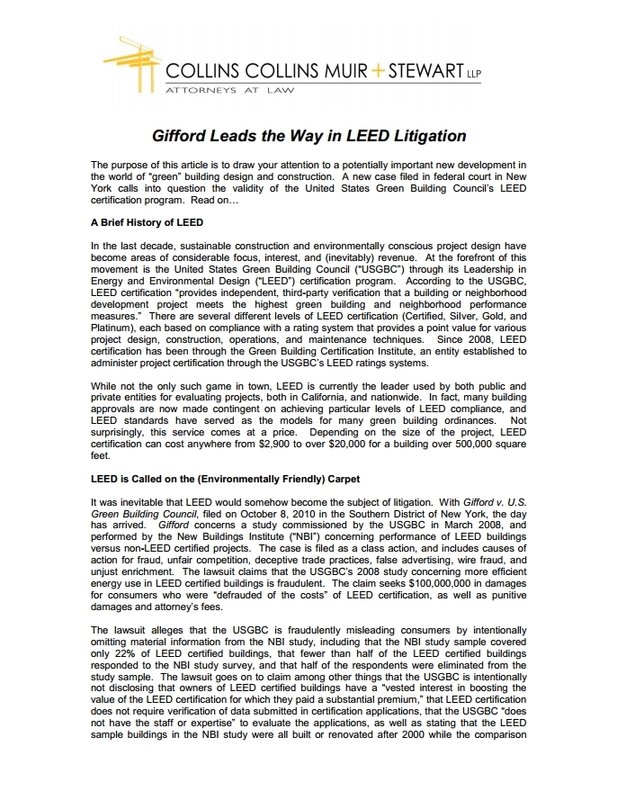 This case has immediate impact on project owners who rely upon their design professionals to provide designs that comply with the FHA and/or ADA. No longer can project owners look to the designer for indemnity for errors and omissions in design that create FHA or ADA violations. With more project owners demanding the use of Building Information Modeling (BIM), project delivery is necessarily carried out through greater contributions of design input by the general contractor and the major trade subcontractors. The design professionals are no longer the sole authors of the project design. This collaborative project delivery method has been called integrated project delivery (IPD). The contribution of design input from each of the various project players using IPD is a significant break from the traditional division of responsibility recognized in the standard design -bid-build project delivery method.